Cabinet with (2) sliding laminate doors on both sides. 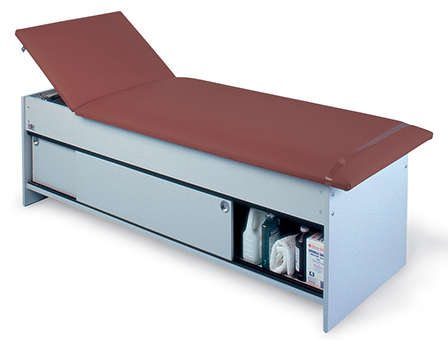 Provides convenient storage space for all blankets, gowns and supplies. Color accuracy may vary according to yout monitor's color settings. Color samples may be obtained from Customer Service.